For the past 31 years the smiling face of Tony Gregoriou has been front and centre greeting his customers at Tony’s Chicken Shop in Wollongong. But keeping up happy appearances proved difficult for Mr Gregoriou for most of 2015. His mother Andriani was diagnosed with Motor Neurone Disease in late 2014. On August 20, 2015 she succumbed to the illness, aged 86. “She was always a very fit, healthy and strong woman and it was difficult to watch her deteriorate at such a fast pace,’’ Mr Gregoriou said. He said the Motor Neurone Disease Association of NSW helped his mother and the family immensely during this difficult time. MND NSW supplied equipment to make Andriani’s life easier, provided advice on what aid was available to her and sent a nutritionist, dietitian, physiotherapist and speech therapist. “A nurse was also just a phone call away,’’ Mr Gregoriou said. 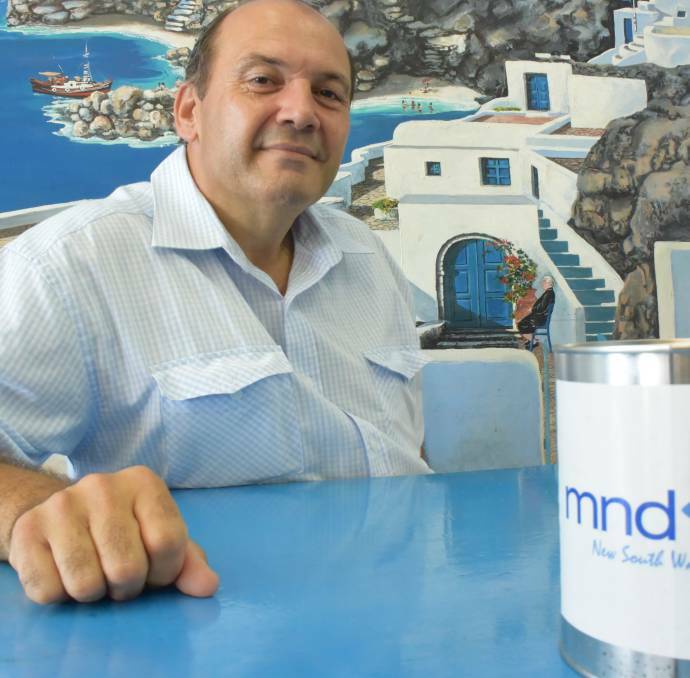 To show his support Mr Gregoriou will donate $1 from every chicken sold during the month of March to MND NSW. Chickens which usually sell for $15 can be picked up from the Wollongong shop for only $9.99 during March. A charity jar in the shop also allows loyal customers to donate much needed funds to MND NSW. Meantime, people can still pre-register for the fourth annual Illawarra Walk to d’feet MND at Bulli Beach on March 6. Shelly-Anne Demirov ran the inaugural Illawarra event back in 2013 to thank MND NSW for their support during her father Jim Demirov’s 19-month battle with MND. The Dapto man passed away in July, 2010. WALKING FOR A CAUSE: Shelly-Anne Demirov is encouraging people to support Illawarra’s fourth annual Walk to d’feet MND event at Bulli Beach on March 6. MND is a nurological condition which robs people of the ability to walk, speak, move, swallow and eventually breathe. The life expectancy after diagnosis is from 18 months to five years. “It’s an insidious disease,” Ms Demirov said. Pre-register at the www.mndnsw.asn.au website until February 28, or register on March 6 for the Illawarra Walk to d’feet MND.